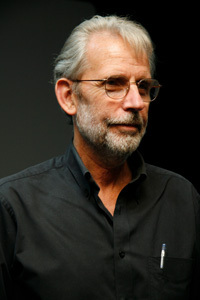 WALTER MURCH is an Academy Award winning film editor and sound designer. His body of work includes The Rain People, American Graffiti, The Godfather Parts I-III, The Conversation, Apocalypse Now, Return to Oz, The English Patient, and Cold Mountain. He has been nominated for nine Academy Awards, and has won three for his work on Apocalypse Now and The English Patient. He is also the author of a book on film editing, In the Blink of an Eye, and is the subject of Michael Ondaatje’s The Conversations.